If you are interested in outdoor recreation- whether it be ATVing, hiking, biking, fishing, hunting- any form of outdoor recreation- you need to attend one of these public forums. 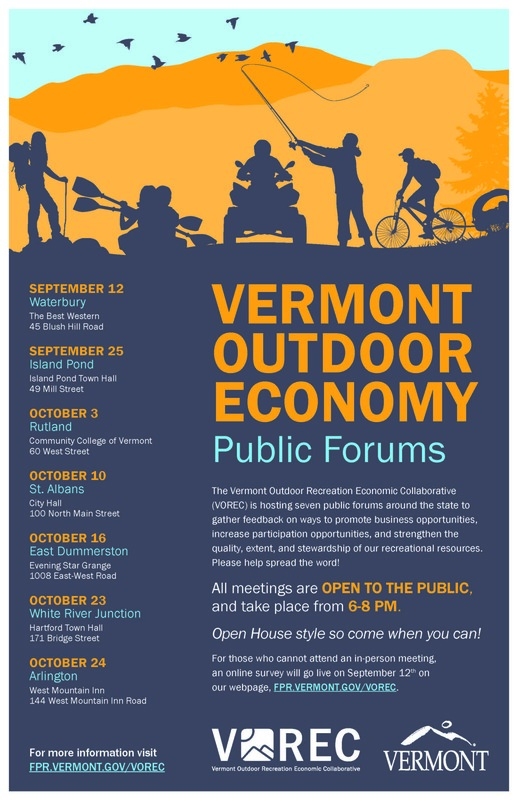 The Governor has put together a group called VOREC- the Vermont Outdoor Recreation Economy Collaborative. This group's purpose is to recognize and address the importance of outdoor recreation to Vermont's economy. 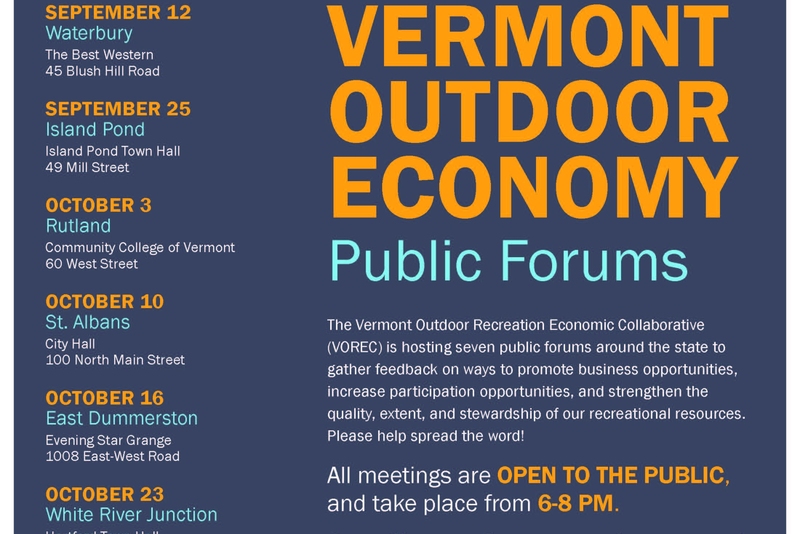 We need to show up to voice our importance to this economy and provide feedback that will allow the state to better understand the issues and possible solutions regarding ALL forms of recreation in Vermont! Please attend! Please share this post so others can attend as well!